I’ve asked a number of folks what they think of my ‘gravity-free icicles’ photos from November, when the temperature dropped by 50 degrees in a few hours. I’ve sent it to strangers with Youtube channels who I thought might be interested in this sort of phenomenon. I’ve had no replies from them. I did hear back from one friend whose simple comment has made the most sense so far. “It’s like the world turned upside-down,” he said. It certainly is. It’s 85 degrees right now here on the wee homestead, yesterday I got stung by a wasp on the knee in the house. Ouch! Not only are wasps circling in this unseasonable warmth, we’ve been vacuuming up lady bugs by the thousands. I once thought lady bugs were kinda cute, now they are on par in my view with ticks and fleas. “It’s great! I’m in my summer clothes,” chirps the choir, parroted across social media. Strawberry fields forever! Nothing to get hung about! What about the weather modification? What about the chemtrails? When I look up this is what I see. I don’t like it! What the hell is going on up there? This is considered “sunny” by the local weather man. All is normal, just a bit unseasonable. Why can’t we get any straight answers? Oh, but the weather, look, it’s beautiful! 85 degrees in February! The pear trees are blooming so the bees are happy! Just get happy too! Daffodils in January, stop complaining, what could be wrong with that?! The pigs don’t seem to mind, look how they’ve grown! What if life was just a game? Nothing is real . . .
How it’s going down . . . In upside down world . . . I won’t focus on “gravity” in this comment LOL! > when the temperature dropped by 50 degrees in a few hours. Gaps in the densities in the vibrations, probably from the sudden drop of the temperatures, inducing gaps in densities manifesting as humidity gaps made that type of water crystallization. But I assume it was the water rising from the soil to crystallize as frosts to release the coldness to the upper grounds, to mitigate the temperature drop in the underground soil environment. They are “alive”. If you observe “artificial influences” of geoengineering, then a person can also consider “counteractive actions” from nature to neutralize that unnatural doings. Those “massive counteractive actions” would not have happened, if there were no “massive” unnatural stuffs. So even if the sources of the actions were from nature, there would sometimes be “massive” unseen before when there were not much massive geoengineering actions. Nice to hear from you again YK, I’ve missed you! “If you observe “artificial influences” of geoengineering, then a person can also consider “counteractive actions” from nature to neutralize that unnatural doings. Those “massive counteractive actions” would not have happened, if there were no “massive” unnatural stuffs.” I believe you are absolutely correct. But I pause as well, as much as I do have faith Nature can always recover, I am still concerned with the cost. You have mentioned this before, and I really do consider what you say, but in my advancing years I do very much consider the cost in a way I did not before in youth. We are losing so much, this is not just me projecting, it is deeper than that, we are wasting precious resources on non-precious pursuits. I have thought, if “we” had no intentional geoengineering activities such as HAARP and chemtrails, we would have degraded in “slow death” without making changes until the point of no return. Considering only pesticides and chemical fertilizers, we would have degraded the soil and the polluted waters leaking to the rivers and to the oceans. Eventually, slowly unable to grow healthy crops, hence unable to produce enough food for the people. Fortunately, we have an “accelerated” process of “apparent suicidal doing”. If the process was slow, most people would have ignored the “slow suicide”. We have massive “intentional” geoengineering, blatantly apparent enough for “many persons” to realize to change the course to restoration, and also to reshape and create a new positive way harmonizing with the planet. “Many persons” may not be “too many” though. I suppose peoples, not persons, who can’t recognize the apparent things ongoing are not humans. Sub-humans perhaps, and some without souls and/or have lost their souls. A person can’t preach other persons to change, so one has to work on oneself primarily. “Others” may be influenced indirectly by the persons who had conducted one’s changes. Some may never change until death, or even after several deaths. If flowing waters and rivers are considered to have some sort of intelligence and consciousness, it is rather natural to assume that electricity and electromagnetic flows also have some sort of sentience. Some advanced scientists have said that electric currents does have consciousness. I’m not sure about Tesla, but I assume he have felt that too. Several Japanese alternative scientists that I am aware of, have pointed out the source of generating electricity is important. One stated that electricity generated by nuke power plants are dirty, so he generated electricity in his facilities by wind generators, which he stated, was “clean and nice”. He implied, that electric appliances lasted longer and got invigorated, if it was flowed with clean electric currents. So it is considerable that major electricity being used are dirty and polluting the electromagnetic plane, considering how they are generated. Even if there were no HAARP stuffs, we are surrounded by cell phone tower and power grids with those type of electricity flowing. Some SecretSpaceProgram whistleblower persons are implying that malevolent ArtificialIntelligence consciousness is “incarnating” on the electric currents as their “physical vessels”. This is true, in my understanding. In Rudolf Steiner’s terminology, some part of Ahrimanic consciousness is incarnated on that plane, influencing humanity from that plane. I am quite sure that this planet earth is quite powerful and persevering. She could “shove off” harmful stuff on her skin, if she wishes, any time. She could neutralize the nuke pollutions by herself, without the support of human technologies also. So I suppose, she is still patient, and allowing all the nasty geoengineering to happen, giving current earthlings chances to clean up the mess by ourselves, as much as we could. She seems very tough lady planet, so the detox process may proceed much more, which she could endure and allow that to happen. Conventional human mindsets would probably panic since that narrow perspectives cannot grasp the picture. Not much of a problem for persons deeply grounded with the inner though! Thanks for your replies and the link to the Guide to Frost, really beautiful and fascinating! I’m very interested in learning more about that and about electromagnetics and waves/currents. As I mentioned, in my dreams I have some very intense sensations that I’ve not felt in a waking state, or for very limited, less intense moments, like in meditation. It does feel “electric” that’s all I can really say. An interesting thing I experienced two or three years ago really stuck with me about currents. I was alone at home and there was a snake in the chicken coop. Normally Hubby would take care of such things! 🙂 But I had no choice and I went to kill it. It was quite large and I have no experience killing snakes and I thought I could do it with a pitchfork. I was quite nervous! It was dark in the coop and the snake was black and curled up in laying box. I took position as best I could and stabbed it with all my strength, it writhed and it all happened so fast but I had an electric surge through my entire body like I’ve never felt, as if I was some sort of conductor, or the snake was and was trying to “fight” against me with it somehow! Anyway, the snake slithered to another darker corner on the floor of the coop where it would be impossible for me to get at it properly. And what was so strange about it all—when I went back to the house just after, the electricity had gone out! It was a perfectly calm clear morning, warm, no wind or bad weather, and the electricity was out for half the day. Bizarre coincidence?!! > when I went back to the house just after, the electricity had gone out! Those things happen to some persons. Interferes with electric appliances, sometimes “burns them out”, turns them off, and/or brakes them out. I know a Japanese friend who got his computers and lights go down several times, each time happened when he was irritated or confused by unpleasant situations he was focusing at that time. He is psychic-type person, but not well disciplined and trained, was not practicing anything, kind of subconscious unpolished type, so he was not good at controlling his emotions and thoughts at that times, hence emitting strong waves influencing the electromagnetic surroundings unwillingly. > It does feel “electric” that’s all I can really say. If you can recall the sensations at that moment, and if “electric” is implying your awareness of being conscious about the flow, the certain direction and focus of the currents of the flow running on certain circuitry in the body, it is not odd at all. If the sensations were about the flow along the sacrum and/or along the spine, then it may have been a kind of a shallow awakening of the kundalini on the etheric level. I suppose the flow on the layer near the physical bodies are concentrated along the spine. On more less denser layer, it is not along the spine, but is vertical that pierces the core heart, which is not the heart chakra. Heart chakra is located along the spine-line, so core heart and heart chakra resides on different coordinates of the body-space. The flow can go outside the boundaries of the physical body, the contour surface defined by the physical skin. Many refer to the toroidal field. Goes out, then returns back. Recently, there are some expose about the kundalini and the 7/12 chakra system as the overlay, an implant from the forces of the “false light paradigm“ onto the astral/etheric body. Also about the pineal gland. It depends on the maturity of the person on the point of one’s journey, whether to engage in the kundalini paradigm, but it seems that for some persons on the graduation path, are integrating the chakras to the 3-center system. 3-centers are the head, heart, loin centers that are located vertically which pierces the center grid of the body, the core heart. I have been observing the kundalini and chakra system practitioners stories for several years, but I had felt something that prevented me from engaging heavily to those practices, activating the chakras stuff. My personal preference to the traditional system is to early buddhism, so I was feeling odd that a maniac analytic Buddhist document, the Abhidharma does not mention anything about the chakras and the kundalini flows. I have read experiences written by practitioners and so called kundalini awakened persons in Japan, and also English stuff. I thought many are wiser than the average conventional persons, but to be honest, I kind of felt they are still “dumb and numb” in the core understandings. Many seemed to have been stuck in the astral level, only a few that I have observed went over that layer. I am still not qualified enough to judge about this topic since I am in the process of verification practicing by myself. I am currently working on the process of integrating the chakras to the three centers. But I do think that if I concentrate on the core heart and the vertical grid that grounds to the planet earth’s core, the chakra line along the spines which goes around sternum, the Chinese Xiao Zhou Tian system (microcosmic orbit system) flow, it kind of disperses and diverts the concentrated vertical grounding flow. I am simply fascinated by all this, I’m going to spend some time looking into these areas, if you have any links to share that would be great. I have heard of the chakra energy system, kundalini too, but have not found serious work I could look into. Unfortunately here it has become so commercially-oriented and “new agey” and just frankly fishy I have not taken it as seriously as I might. Still processing though some of your comments YK. “If you can recall the sensations at that moment, and if “electric” is implying your awareness of being conscious about the flow, the certain direction and focus of the currents of the flow running on certain circuitry in the body, it is not odd at all.” I would say the flow overwhelmed me instantaneously. It was not along the spine or center that I felt it, but rather like what one would imagine it feels like to put your finger in an electric outlet. If the sensations were about the flow along the sacrum and/or along the spine, then it may have been a kind of a shallow awakening of the kundalini on the etheric level.” If that was “shallow” then, WOW!!! I do remember the story of woman who said she had a “kundalini” awakening experience, she was screaming uncontrollably for several minutes, her body contorting, and her companions in awe, obviously. I’d say I’m not quite ready for that. And you? > imagine it feels like to put your finger in an electric outlet. I haven’t experienced that type so personally, I don’t know. I have sat on bath of electrocution-type spa, the weak electrocution tingling seems to vibrate on the surface of the body, which I presume is along the fascia of the body. Then, when I sat down near the electrode in the warm water, the electrocution tingling quickly gathered to the spine, which kind of hurts. Several years ago, it was no problem with me, but when I experienced that a month ago after a long time, I could not bear it no more. Probably, I am becoming more sensitive to electromagnetic waves than before. Organic chi energies, the energy flowing at the etheric level near the physical layer, is said to flow along the fascia in the physical body, according to Qigong Chinese practitioner. That goes with my experience. Also, the person touching high voltage electricity current from Tesla coil is safe, from the so-called “skin effect”, where the high frequency currents flow along the skin. 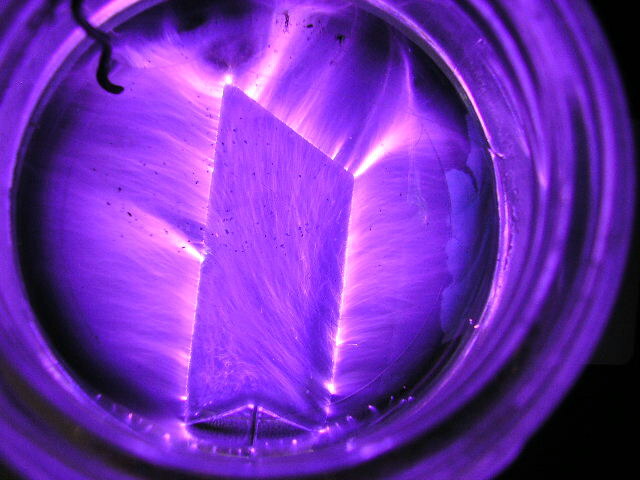 I speculate it flows mainly along the fascia, not the skin, but I have not experienced Tesla coil current, so I can’t assert that. > If that was “shallow” then, WOW!!! Etheric flows are flowing on humans, along the meridians, whether they are conscious or not. Otherwise, they would be dead. Whether the flows are concentrated to a certain circuitry of the meridians, or not depends on the person. It is likely that kensho’s experience was not that concentrated, the flow kind of “scattered”, so it was not damaging. Kundalini rising/awakening practices are focusing the flows to circulate along the spine upwards to the crown, filtering thru the seven chakras, then circulate downwards the sternum, or stop the circulation at the pineal gland. If the circuit is not well prepared and maintained, they “blow out” when the current is strong. There are many accidents. Some go mad, some go blissful crazy. @ is it worth engaging in so-called kundalini practices? > I’d say I’m not quite ready for that. And you? I was getting determined and was about to engage seriously to the practices, but suddenly found convincing info not to. I was interested and aware about the kundalini practices, but reserved to engage in the practice until I really felt ready. However, I somehow had a “hunch” that kept me from the practices. For careful preparation, I had been researching some practice steps and the reports from the practitioners, both successful and non-successful ones. I’ve wrote before about the hunch. I will also add, I have extensively researched this last year, so I could be confident to start engaging in the kundalini practice seriously at last, now that I am at the senior age. Last year I had become friend with a lady who was practicing meditation for many years from young age, and at last, being the age over 60, experienced full kundalini awakening, in her view. She had spontaneous experiences before. She had recommended me to do the kundalini practice. But from my observation, she has not become that “wise”, only got more uncontrollably sensitive. She could not manage to mitigate chemtrail and electromagnetic toxicity by managing the etheric flow of her body, which seems to me, very odd for a person that could manage the flow of the chakras. But looking to other persons via internet, I have found several so-called kundalini awakened persons reporting being stuck in the similar situations who could not effectively heal themselves. So, what would be the point of doing such practices, that could only gain shallow psychic knowledge (not wisdom), some euphoric bliss, but could not even strengthen the protection to chemtrails and electromagnetic harms? Maybe worse, the risk of becoming more vulnerable to the toxins being extremely uncontrollably sensitive to electromagnetic waves. I completely agree. Most modern New-cAge systems are variations from theosophy systems, the movement instigated in the beginning of the 20th century. But the chakra system is based in Hindu texts and esoteric traditions, so the “serious systems” do have historical foundations. Questioning and doubting about the kundalini, 7/12 chakra system, and the pineal gland, in the field of metaphysics, is controversial, not only on new-age modern systems, but also to many traditional metaphysical systems. If a person is to doubt traditional metaphysical systems, then one is doubting that even the ancient practices were infiltrated by malevolent intents. What if even the historically established ancient practices were not distorted thru the ages by the error in the transmissions, but were initially wrong right “from the beginning”? Some genuine traditional metaphysical system never mention about chakras and kundalini (ida, pingala nadis). I acknowledge early buddhism practices does not, and also Japanese shinto does not. I am not acquainted with shamanism practices, but I suppose genuine Native American shamanism does not practice on chakras, kundalini, and pineal gland. It seems so in Australian aboriginal shamanism also. I personally know that there are the layer of the body which is deeper than the layer with the chakras. So now that I am confident that I don’t have to concentrate on the layer of the chakra much, I am not going to engage in the so-called kundalini rising practices. Rather, I would be careful not to activate it unconsciously and carelessly. When I had recommended the video of Cara St Louis, she mentioned about George Kavassilas. I had never knew him before, strange because he seems to be controversially famous in the ascension community. Something hit me, so I researched his material, where he mentions about the chakra intervention stuff. I extended the research, where I found some other persons with similar perspectives, with their reports on their practices without working on the chakras. I resonate with them. But I might change my perspectives as I progress though! > if you have any links to share that would be great. You can see many videos and interviews of contemporary “normal” persons telling their kundalini experiences. A person can reach more resources on the subject via that website. If you want to transcend from that, I recommend reading Kavassilas’s book, which is pretty good in my opinion. I have read the book and watched his videos and interviews to check if I resonate with the overall perspective, despite some minute defects surrounding Mr.K’s biases and controversies. Then, I connected to similar other persons. It is not for everyone. The main target of Mr.K’s audience, is for the souls in the path of “going home”. Nevertheless, it is still beneficial for persons not in that path. From my current understanding, for some many persons, proceeding the kundalini path is necessary. So to these persons, it is natural that they get resentful to the perspectives transcending the kundalini layer. Persons have to really go thru the experience by themselves to understand stuff anyway. Whether they experience stuffs in this incarnation, and/or they had done that in another life differs per person. If a person had gone thru the kundalini experience in his/her past life, the person can go thru the similar path much quickly in this life, if he/she were to repeat the similar experience in this incarnation. Then, he/she can go to the next steps in this life. But I see some persons being stuck in the kundalini step, thinking that the step is the “final step” in the metaphysical realm. Some persons, who had gone thru in the past lives, may choose not to repeat the kundalini step on this life. The person explores other steps in this life. To these persons, they can “see” what kundalini path is, even though they have not gone thru the experience in this life. It is interesting to compare Kirlian photography and Rudolf Steiner’s Formenzeichnen (Form Drawing). Kirlian photography is said to be plasma/electromagnetic layer, formenzeichnen is said to be etheric/astral layer. It may be possible to assume, that the flows that are orthogonal direction to the surface of the object, shown in Kirlian images, are the shadows portraying the etheric flows. In Steiner’s Formenzeichnen, the counteractive flows define the boundaries of the objects, maintaining the contours and shapes of the objects. The balance between the inner spreading flows and the outer compressing flows define the contours. So it may be possible to say, that hoarfrosts grew along the flow which were orthogonal to the contours of the side mirror, which resulted as a horizontal frost in the example above. 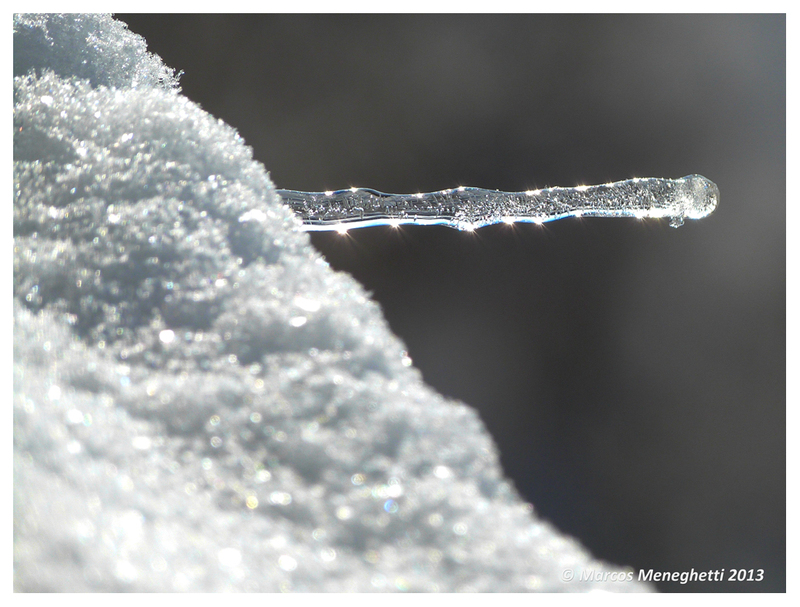 Here’s what I recognized yesterday after recalling the exchanges on this blog about ‘gravity-free icicles’!!! I myself got inspired from your article on this page, to find out the new vocabulary, “hoarfrost”. I had found out the vocabulary and the cool hoarfrost images first time myself, then shared my findings and commented that here. I already knew that water crystals grow over “gravity”, as does silicon crystals do, so I did not believe that it is peculiar that the water crystal grows upwards. But there are benefits to the differentiation by the words. Like, when I google-search-image, I can find “icicle” images, and differentiate the search with “frost” images, by using different keywords for the search. If there were no differentiation by the words, the two type of water crystals, the downward growing crystals and the upward growing crystals would not be differentiated. Japanese language does have each different words for the term icicles and frosts, so thinking in Japanese language does trap in the similar way as thinking in English, the slavespeak of icicles. I can switch my thinking process not using languages, through the thought-process beyond Japanese and English and any linear languages, so that makes me free from the slavespeak spells of the thinking process through the languages. Well, this is my recent breadcrumb: this is quite scary!!! Howdy YK! Thanks for your reply once again. Because I was a language teacher I have always had a fascination with language and am glad to hear you on this avenue of research, ‘slavespeak’ certainly, but also ‘secret spells’ (English Gematria has become an interesting topic for sure that I continue to be very curious about). I’m going to look more into your links and read your posts more slowly over the next few days, there’s a lot there and I don’t want to miss anything! But just as a quick comment on “frosts” and “icicles” — I chose the word icicles based on looks alone. To my mind, frost is something that remains short, choppy, and full of visible crystals. From the “hoarfrost” photos, even those that are parallel, they just don’t look the same to me as these very clear, thick, totally vertical and rather tall images look like nothing else I can find. I wrote to Ken, from the site you sent me on frosts and he also said “frost” as on his photo’s page, but that he had not seen this on grass. But, the thing is, there are not even blades of grass inside all those “icicles”–very few in fact if you look closely, and the ice extends much further upward. In my previous understanding of “frost” and even from photos of great ice storms, the ice is forming around something, extending only slightly from that physical object. For this phenomenon that was not the case. I so appreciate your interest and “teamwork” in the various leads and suggestions you send! I hope your interest will continue! Great to hear you are/were a language teacher (English? teacher). I’m quite happy to know you are interested with languages, also in the esoteric aspects. I’ve had intense interest to the Japanese language and its history, since there are facets in Shinto utilizing word-spirits: (Koto-dama/Koto-tama in Japanese) as the underlying logos, principles in its esoteric systems. But those interests are fading out for me recently… I’ve watched several Laurel Airica’s videos and was very fascinating! Good to hear you have contacted Ken!!! > these very clear, thick, totally vertical and rather tall images look like nothing else I can find. I assume you are implying about the seed crystal that catalyzes the crystallization growth. I suppose, that in your situation, the first “gap” is between the soil and the air, the boundary dividing the surface of the ground, to the atmosphere. The liquid water rising upwards from the soil, first faces the gap when it reaches out out the ground facing the air. So I think if there was the seed crystal, I suppose it would be at the root part of the icicle-frost. It’s different from salt crystallization, where the salt crystal forms in the salt-water solution, in that case, the seed would be in the center part of the salt crystal. I’m thinking now comparing with the silicon oxide crystallizations, because there are vastly different type of crystal formulations, assumed to have formed by the differences of the environment and the conditions surrounding the crystals. I’ll probably look to industrial quartz formation also, soon. Also, I’m beginning to skim thru Nikola Tesla stuff now. I’ve finished Tesla’s introductory biography written by a Japanese. From finishing the book, I quite felt all the visions of Tesla, which he could not accomplish when he was alive, was mostly realized now. Many of his “visions”, if utilized by “nasty intents”, really coincide with all the HAARP and electromagnetic warfare being exposed recently as geoengineering. His dream come true in a nasty way. In the mysticism terminolgy, the minerals/matter are aligned based on etheric templates. the underlying etheric flows. So my hunch is biased in the thinking, that electromagnetic flows that could be captured/measured by the conventional sciences, are the shadows of the underlying etheric flows. Kind of similar to the so-called pseudo-science perspective LOL! But, it is not that unnatural perspective, in analogy regarding iron sands piling up aligning along the magnetic lines of the magnet. I think this comment is mostly sanely (conventionally) scientific, less fishy LOL! Wow, this is an amazing reply! I need to really look at it closely and take a bit of time with it, because I have no training at all in these fields. I did think of one other thing from those pics, the stalagmites in caves, and your comments seem to point in a similar direction–salts, crystals, I guess they have similar properties and could behave in similar ways under the right conditions? I will look closer and reply again. Laurel Airica implies she (in her previous life) had been in the working group of John Dee, working for the English language. She seems to be very interesting person! She seems to be beginning expressing her wisdom thru Patreon recently. YK, what did you mean by “49:08 minimal music – Laurel Airica Word Magic” ?? there is a youtube video with that title. on that specific timeframe is where she speaks about that “fishy?” stuff. I didn’t want to attract attention for deniers and persons not interested by posting the direct link, which would show the thumbnail image of the video in the comments. I follow your blog with great interest although I must admit a lot of it is way beyond my pay grade. Thought I’d let you know that Dane Wigington from geoengineering is giving an interview with Greg Hunter at USAWATCHDOG today. This man is so full of timely information that he should be on everyone’s favorite list. Actually I was referring to Dane but Greg is also a favorite of mine. Thanks Granny, I appreciate it! I learned something new from that interview–DUMB (Deep Underground Military Bases). Greg is a powerful interviewer, I’ll start watching him. I believe the military bases are just the tip of the iceberg. I remember reading about thousands of miles of underground tunnels all over the world fifty years ago. ( always been interested in the unusual). I then noticed that all these tunnels were being closed off by the different world governments & becoming forbidden locations. Is this where the elite are going to hide when they finish destroying earth’s atmosphere? They certainly don’t seem concerned about the damage they’re doing. It sounds woo-woo but I can’t come up with any reason for the total dis-connect with reality. Granny, it does not sound woo-woo to me, but quite erudite! In fact, I was just listening to a couple of speeches from the early 70s at how old this conspiracy actually is. When the media and the education system are controlled by the elite tax-exempt foundations, they not only can amass huge amounts of wealth and power, but also simultaneously brainwash the public with ease. I studied quite a bit of history at uni and we were not learning what I am now watching on the internet. So to hear about underground bases and tunnels does not shock me at all, but what does is that folks would actually like to live underground at all. Sounds like hell to me! I just love the sun and blue sky and how I hate to see it toyed with so mercilessly.